Swimia.com has one of the most up-to-date database on the internet about almost any Iceland Swimming Pool. Classified by countries, regions and cities, it is very easy to find the nearest pool at the places you visit. For Iceland, you can have a look at the pools we've gathered for you. Before trying any pool, ensure you know the rules and regulations for Iceland Pools as they may not be precisely the same as inside your home town. We recommend you get in touch with the pool directly to ask when you will require a hat, and what sort of footwear or specific clothing you will need. 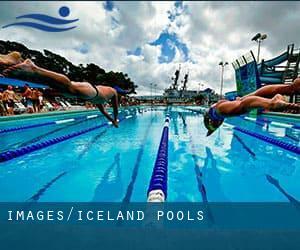 Most of the Iceland Pools offer both open lanes for independent swimming and also guided activities like water aerobics or Aquabike. Going to a Iceland Swimming Pool is growing specifically within the elderly population sectors of Iceland, who have suffered some type of muscle or bone damage. Swimia.com wants your feedback on Aquagym in Iceland to ensure all the information about swimming in Iceland is valid. Do you know of any Pools in Iceland that should be listed here? Contact us!. One from the advantages of outdoor swimming in Iceland is the possibility to sunbathe in the course of the summer time season. Taking it with additional care, sunbathing is healthy since introduces Vitamin D into the body, so the very best alternative seems to be switching between indoor and outdoor pools depending on the season. Enjoy the best indoor pools in Iceland and don't worry about the weather. These facilities are open all seasons and you can enjoy a swim at the same temperature every day of the year. There are quite a few reasons why you'll want to choose a heated swimming pool in Iceland. The most essential one relies on the importance of keeping the body temperature stable. If the water is too cold, your body will try to warm it up and you will shed strength to swim properly. Swimming is a fantastic thought to keep your body active for the duration of your visit to Kópavogur (Iceland), or perhaps when you are a local. Swimia helps you to locate your closest Pool in Kópavogur. It's hard to visit Iceland devoid of dropping by Reykjavik (with 113.906 residents). Presently Swimia is showing you all the Swimming Pool in Reykjavik and the closest pools situated in its vicinity. Holding an estimated population of 22.289, Hafnarfjordur is among the most important cities in Iceland. Check all the Pool in Hafnarfjordur and its surrounding area. Without a shadow of a doubt, swimming in Akureyri will be the most beneficial solution to unwind after work. 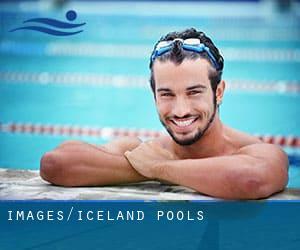 Take a couple of minutes to browse Swimia's catalog to find a Pool in Akureyri. við Skagfirðingabraut , Saudarkrokur (Postal Code: IS-550). Among all of the activities offered by the center, if you are interested in swimming you will appreciate 25 meters x 8 meters, 3 lanes, 0.9 meters - 3.5 meters depth, 0.9 meters - 3.5 meters depth, Outdoors. If you might want to contact this Pool, e-mail address and phone number are both number. Sunnubraut 31 , Keflavik (Postal Code: IS-230). Swimmers like you reported 25 meters x 12.5 meters, 0.9 meters - 1.8 meters depth, 0.9 meters - 1.8 meters depth, Outdoors. Unfortunately we do not have the e-mail address of this Pool, but we can give you the phone number. Garðbraut 94 , Gardur (Postal Code: IS-250). Swimmers like you reported 25 meters x 8 meters, Outdoors. Unfortunately we do not have the e-mail address of this Swimming Pool, but we can give you the phone number. Miðstræti 15 , Neskaupstadur (Postal Code: IS-740). Among all the activities offered by the center, if you're thinking about swimming you can enjoy 25 meters x 8.33 meters, 3 lanes, 0.8 meters - 2.3 meters depth, 0.8 meters - 2.3 meters depth, Outdoors. Just in case you would like to contact this Swimming Pool before dropping by, we only know the phone number. Mývatnssveit , Myvatn (Postal Code: IS-660). This sports center offers 25 meters x 11 meters, 4 lanes, Outdoors. For this Pool, only phone number is number here. Vallarbraut 16 , Hvolsvollur (Postal Code: IS-861). Among all of the activities provided by the center, if you are interested in swimming you will appreciate 20 meters, Outdoors. Just in case you want to get in touch with this Pool before dropping by, we only know the phone number. Svarfaðarbraut 34 , Dalvik (Postal Code: IS-620). Swimmers like you reported 25 meters x 12.5 meters, 5 lanes, Outdoors. Phone number and email address are number for this Swimming Pool. Tjarnarbraut 26 , Fljotsdalsherad (Postal Code: IS-700). Among all the activities offered by the center, when you are thinking about swimming you might appreciate 25 meters x 12.5 meters, 6 lanes, Outdoors. Just in case you need to contact this Pool prior to dropping by, we only know the phone number. Breiðamörk 1 , Hveragerdi (Postal Code: IS-810). Swimmers like you reported 25 meters, Outdoors. Phone number and e-mail address are number for this Pool. Hringsbraut 77 , Hafnarfjordur (Postal Code: IS-220). This sports center provides 25 meters x 12.5 meters, 6 lanes, 0.8 meters - 1.8 meters depth, 0.8 meters - 1.8 meters depth, Outdoors. For this Swimming Pool, only phone number is number here. Bankavegur , Selfoss (Postal Code: IS-800). This great and large sports center lets professional swimmers like you enjoy 25 meters x 16.6 meters, 0.9 meters - 2.5 meters depth, 0.9 meters - 2.5 meters depth, Indoors. Additionally, within these facilities you can try 25 meters, Outdoors. Phone number and e mail address are number for this Swimming Pool. Hvanneyrarbraut 52 , Siglufjordur (Postal Code: IS-580). Swimmers like you reported 25 meters x 10 meters, 4 lanes, Indoors. Unfortunately we do not have the email address of this Swimming Pool, but we can give you the phone number. Við Lækjarhlíð , Mosfellsbaer (Postal Code: IS-270). Swimmers like you reported 25 meters x 12.5 meters, 1.1 meters - 1.8 meters depth, 1.1 meters - 1.8 meters depth, Outdoors. Unfortunately we do not have the e-mail address of this Pool, but we can give you the phone number. Versölum 3 , Kopavogur (Postal Code: IS-201). Swimmers like you reported 25 meters x 15 meters, 6 lanes, 1 meters - 1.6 meters depth, 1 meters - 1.6 meters depth, Outdoors. Unfortunately we do not have the e-mail address of this Swimming Pool, but we can give you the phone number. Suðurströnd , Seltjarnarnes (Postal Code: IS-170). This sports center offers 25 meters x 12.5 meters, 0.9 meters - 1.7 meters depth, 0.9 meters - 1.7 meters depth, Outdoors. For this Swimming Pool, only phone number is number here.